Avoid monuments that are carbon copies of others placed in your cemetery. Your loved one was special; the monument you choose should portray that uniqueness and be a constant source of inspiration to the living. Through the personalized design, which you help to create, the monument can reflect your beliefs, values, whatever is meaningful to you. 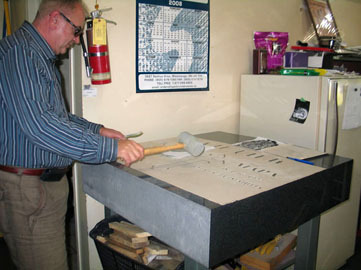 Portrait Memorials can also provide flat memorials or upright monuments at a time of need. 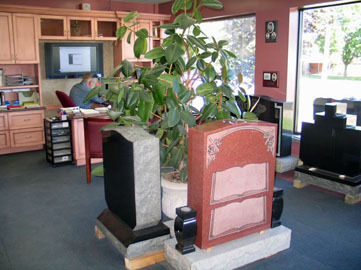 Owner Vic Maksimovic and the staff at Portrait Memorials will work with you to create the monument that is right for you and your family. 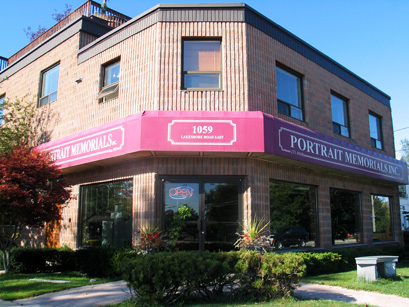 Fine craftsmanship and personal service have been a tradition at Portrait Memorials since 1982. All work is done on the premises.